All our vehicles are carefully selected and we conduct vehicle history and mileage verification checks plus HPI investigations to ensure cars are free from total loss, insurance claims and finance obligations. Promotors Limited has been supplying quality high specification vehicles for over 10 years with thousands of happy customers nationwide, many of whom are repeat customers. We specialise in Audi, BMW, Mini and Land Rover vehicles, all of which come with full service history, new or recent MOT and a pre-delivery inspection. Many of our vehicles come with the balance of a manufacturer's warranty, however if this has expired then our vehicles come with a comprehensive parts and labour warranty with nationwide coverage. 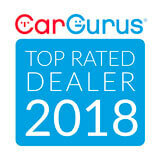 The team here at Promotors Limited all share a genuine passion and enthusiasm for the cars which we are proud to retail, and provide our customers with a high level of personal and friendly customer service, advice and post sale support in a non pressured and relaxed environment. As we are not tied to one manufacturer we provide unbiased cross product advice. At Promotors Limited we go the extra mile to provide you with detailed information on all of our cars for sale. This includes over 30 high quality photographs, high definition video tours, service history details, tyre tread depths, finance calculators plus the full detailed specification. We can take in most vehicles as part exchange and have a range of competitive and flexible finance packages to suit most budgets. Please see our finance page for more information. Our dedicated main road showroom provides sheltered year round viewing for our vehicles. We look forward to hearing from you. Click here to get in touch with Promotors Limited - quality used car retailer of Bournemouth. We can help you get the best finance deal based on your budget. We have relationships with leading motoring finance houses and have helped hundreds of customers find the best deal to suit their budget.